The concept of producing sails for the DF65 class came about in October 2014 when we decided to make a suit of sails for one of our own yachts. Previously we had always used other sailmakers to supply our sails, and whilst we’d always been very pleased with the sails that we received we liked the idea of building our own as it brought another element of what we do “in house” and it now allows us an extra element of control over what we do. Initially we sent a couple of suits of sails out to some trusted friends who gave us some honest feedback about the cut and finish of the sails which was very positive and spurred us on to launch the brand in January 2015. Since then we have refined our production and finish a little and we have spent much time making sails for customers all over the world who have sent us some really positive feedback about what we are doing. 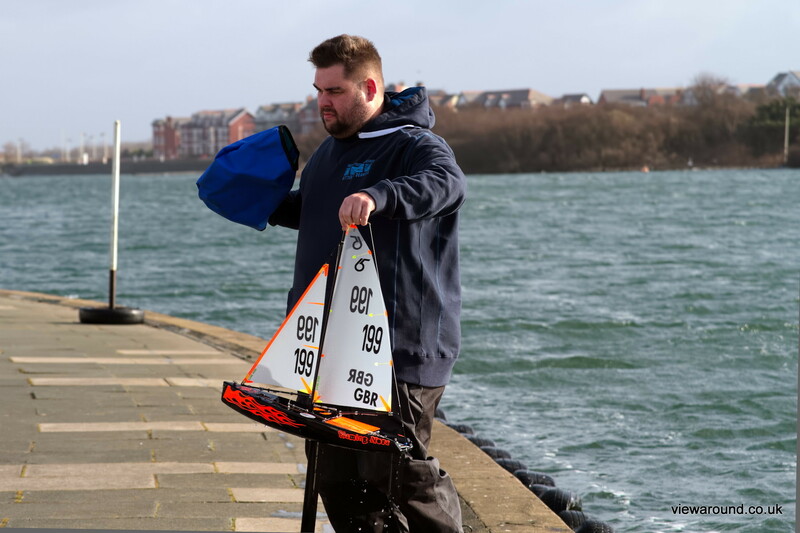 As well as producing sails we also have our own range of other accessories for your DF65 so you can make it just that bit different to all the others lined up on the start line. Since getting our vinyl cutter we have been producing deck patch sets to suit the DF65 as well as other classes and in late April 2015 we decided that, as it was raining outside, we should look at producing some hull and deck sticker sets which would allow you to change out the colour of your boat in a matter of minutes rather than having to repaint. We launched these in mid May and they have proved a very popular addition to our inventory with sets being sent to the USA, Europe and as far afield as Tasmania and New Zealand. We’ve got a few other exciting items to launch as the year progresses so keep checking back to see what we can offer you. Tim has worked in the marine industry for 20 years and has run his successful Abersoch Boatyard Services business for the last 11 years. Back in late 2011 he became involved with a local fleet of RC Lasers and he began to integrate supply of boats and spares into the big boat business. With the success of this he decided that he should also supply the DF65 when that was launched in mid 2013 and again this has been a successful addition to the boatyard brand.